The next generation of digital natives are active on social media and prefer to engage with friends, family and brands on their own terms. There have been many attempts to quantify the desires and attitudes of the millennial population. However, as millennials become simply another part of the digital landscape, and wider society in general, marketers are now turning their attention to the next up-and-coming generation of 12 to 24. A new infographic from market research firm, Wildness, examines the attitudes of Generation Z, in their own words. They have created a new Cultural Currency that values uniqueness, authenticity, creativity, shareability and recognition. What’s different for this generation is not as simple as the internet or technology.Technology is an important component, but what’s changed is this generation’s relationship with culture. This group is highly engaged not only in social sharing, but in the creation of content on social networks: 80 percent consider creative self-expression important. More than 25 percent are posting original video content weekly compared to the 26 percent of adults who have ever posted an online video. Additionally, 80 percent are on social media daily. This social bent is taking the generation away from traditional broadcast mediums. When asked which device they would choose if they could only have one, only four percent chose television. Nine out of 10 survey respondents said they watch YouTube daily, and 70 percent prefer streaming over broadcast TV or cable. It’s safe to assume, then, that cord cutting will continue to grow, driven by this next generation of trend setters. The focus on interactivity extends to the brands and celebrities members of Gen Z choose to follow. 52 percent enjoy connecting with their favorite stars on social, 60 percent talk to their friends and family about brands, and more than 77 percent find brand messaging on social networks appealing. 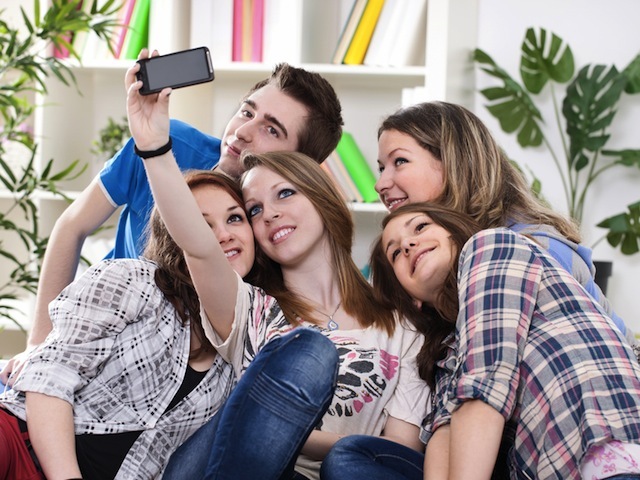 If you hope to connect to Gen Z as a marketer, keep their values and tendencies in mind. To see the views of Gen Z on social issues, or to see they influence their parents’ purchase decisions, view the infographic below.